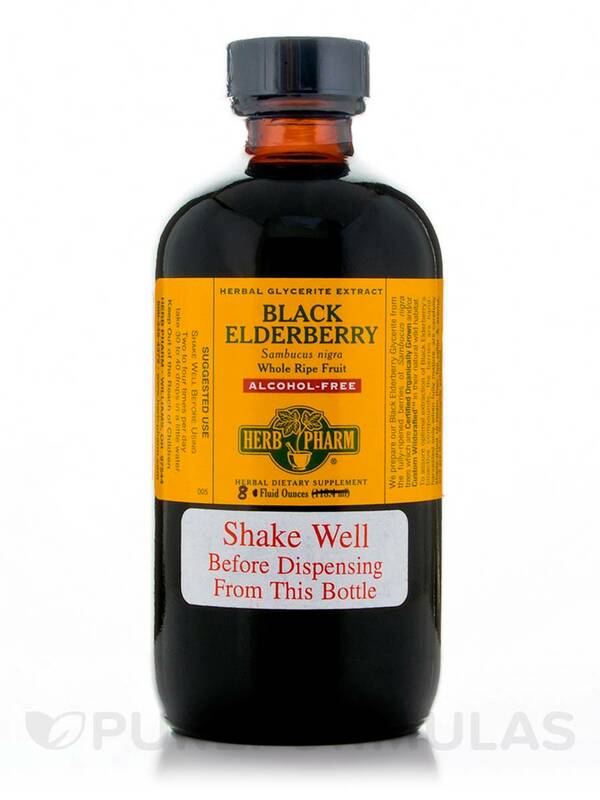 If you’re looking for an alcohol-free liquid herbal supplement that could potentially work to maintain healthy immune function‚ you might want to try Black Elderberry Glycerite by Herb Pharm. This supplement contains black elderberry (sambucus nigra)‚ which is an herb that may help address some symptoms related to the flu or common cold. Specifically‚ elderberry might encourage your body to produce more cytokines; this is important because cytokines are proteins that play a key role in regulating immune response. In addition‚ Black Elderberry Glycerite may play a role in relieving certain symptoms associated with nasal congestion because of its potential to reduce swelling in the mucous membranes that line your sinuses. Finally‚ elderberry extract may serve as an antioxidant. As a result‚ Black Elderberry Glycerite might work to protect the cells in your immune system from free radical damage. 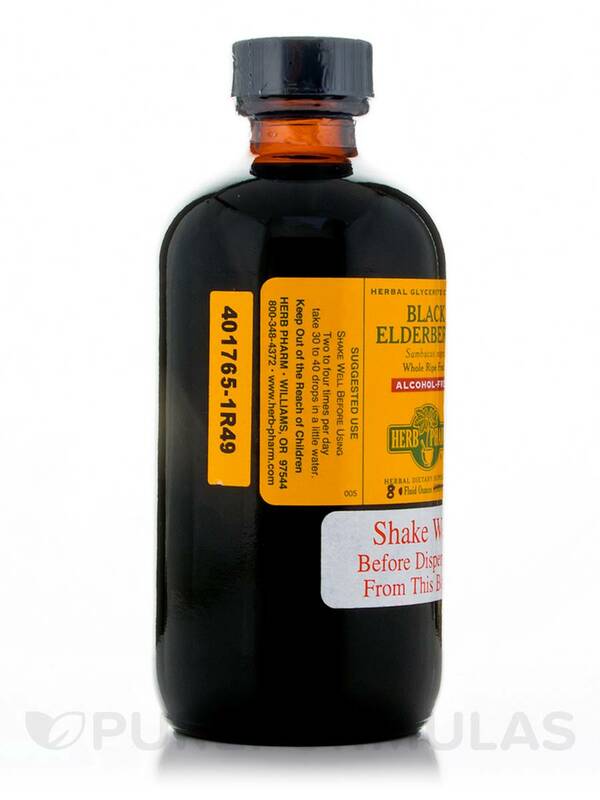 Buy this eight-ounce bottle of Herb Pharm’s alcohol-free Black Elderberry Glycerite in order to ensure that you always have this herbal extract on hand when you need it.